Toyota has brought the iQ EV concept to Geneva. The electric version of the mini iQ model is not yet ready for production but Toyota will be testing this prototype here with an intention of bringing it to market. 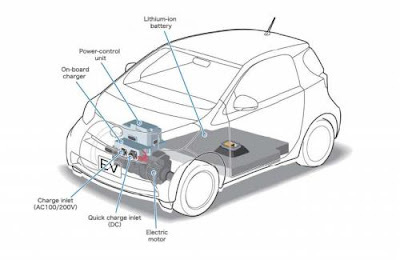 The iQ EV comes with a 47kW (64 PS / 63 bhp) permanent magnet synchronous electric motor and 11kWh/270V lithium-ion battery which lies flat in the bed of the car. A new battery layout for Toyota which does not eat up valuable cabin space, especially on a minicar like the iQ. 0 to 100 km/h (62 mph) takes a long 14 seconds, though, and top speed is a modest 125.5 km/h (78 mph). Range on a full charge is 105 km (65 miles). The iQ EV features dual 100/200V AC and DC charging sockets - a DC quick charge station delivering an 80 percent charge in about 15 minutes. 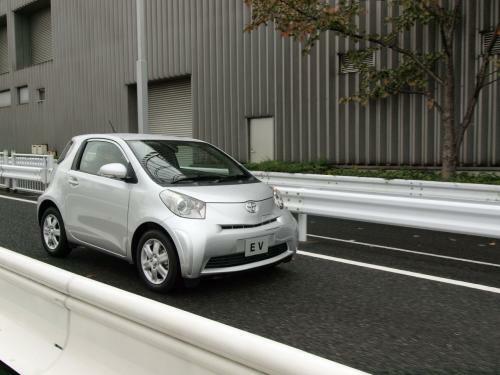 Toyota will begin testing the iQ EV in Europe, Japan and the U.S. later this year.